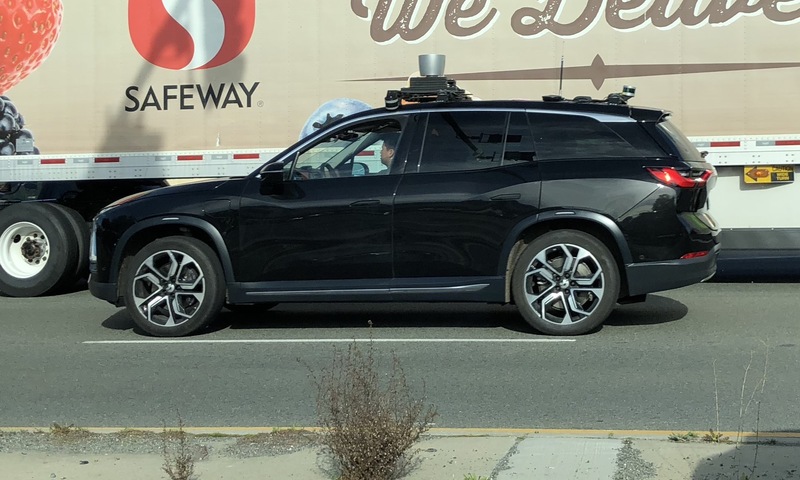 It’s a known fact and nothing new that the Chinese EV-maker NIO is testing self-driving cars in Silicon Valley. 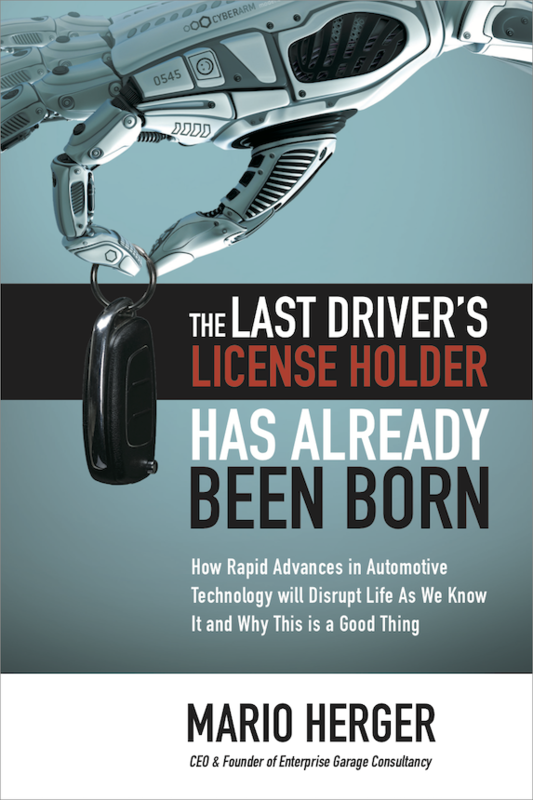 I recently wrote a report about one of their cars – a Lincoln MKZ – being spotted in San Jose. The Disengagement Report 2017 has NIO listing a total of 5 test vehicles. But now I spotted for the first time the all-electric NIO ES8 equipped with sensors. 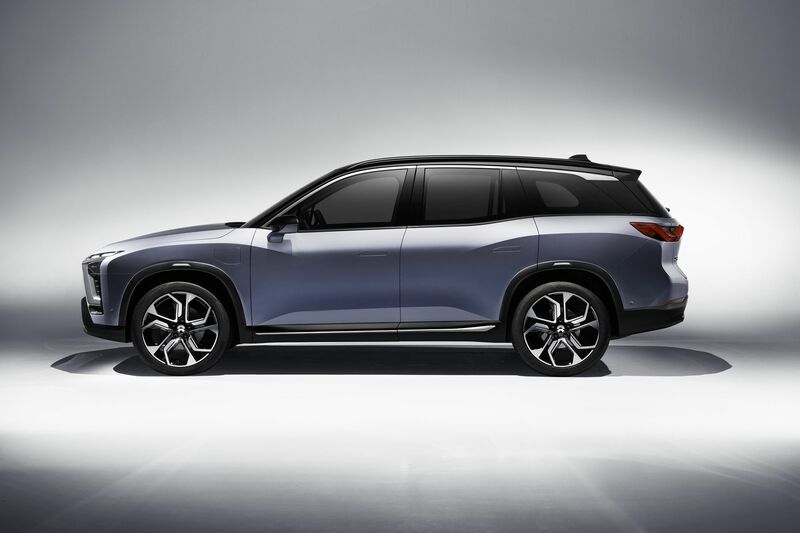 According to their website “[t]he NIO ES8 is a 7-seater high-performance electric SUV exclusively for the China market” That the company is operating at least one car in California has probably to do with the missing framework for testing autonomous vehicles in China, which are currently in the works. The vehicles was equipped with four Lidars, three of which were Velodyne Pucks. Here is also a comparison to an official photo of the SUV, and the photo that I could snap. 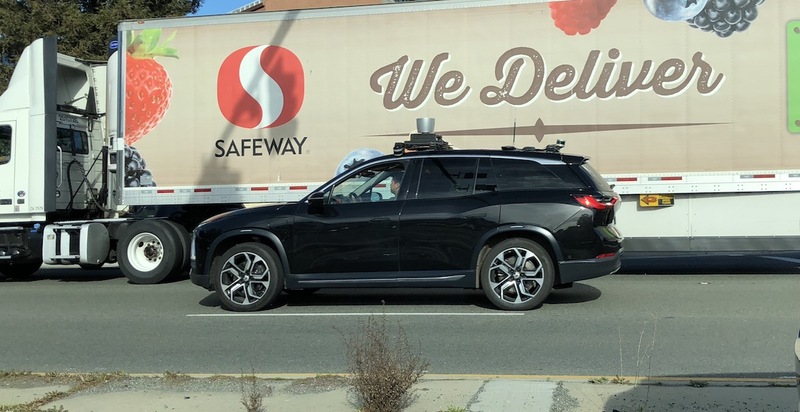 The vehicle was spotted at the intersection of Montague Expressway and River Oaks in San Jose, California. It’s probably the first sighting of the NIO ES8 on public roads outside of China.